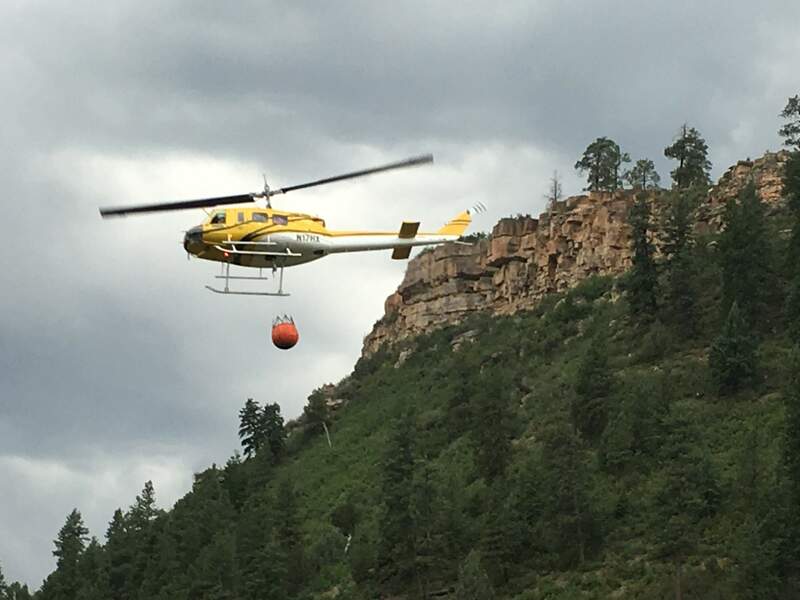 Firefighters battled a wildfire Saturday west of Durango in the Perins Peak State Wildlife Area, about a half mile north of Highway 160 just west of Lightner Creek Road (County Road 207). Firefighters fight a wildfire Saturday west of Durango. The Coal Gulch Fire was reported at 4:19 p.m. and grew to 5.8 acres by 9:15 p.m. Firefighters battle a wildfire Saturday west of Durango. Firefighters battled a wildfire Saturday west of Durango in the Perins Peak State Wildlife Area. 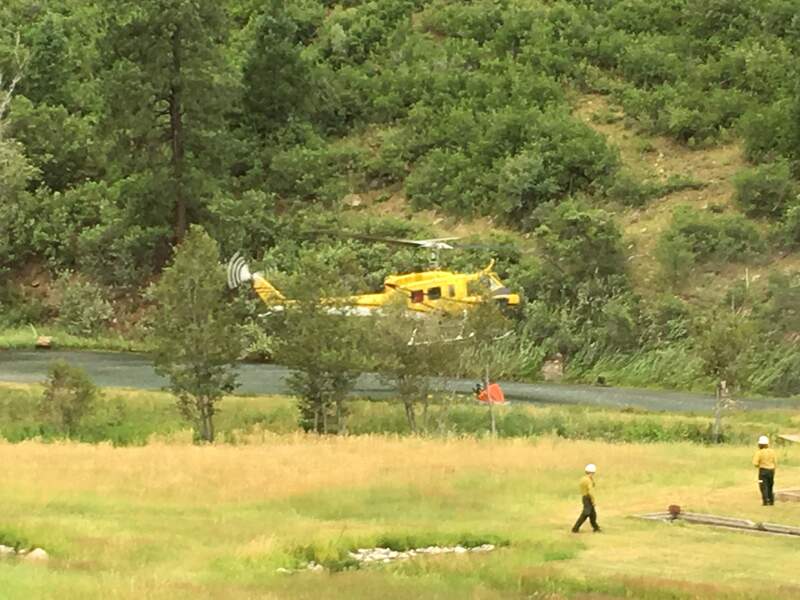 The fire, called the Coal Gulch Fire, was reported at 4:19 p.m. about a half mile north of Highway 160 just west of Lightner Creek Road (County Road 207), said Justin Moore, assistant manager of the Durango Interagency Fire Dispatch Center in Durango. It was about an acre in size as of 6:15 p.m. By 9:15 p.m., the fire had grown to 5.8 acres and was 5 percent contained, Moore said. No structures were threatened. Another wildfire in the Barker Dome area southwest of Red Mesa had burned 15 acres by 9 p.m. Saturday. Idaho Panhandle crews were being sent to both fires, and another crew from Gunnison was on its way to the fire in the Barker Dome area Saturday evening, Moore said. 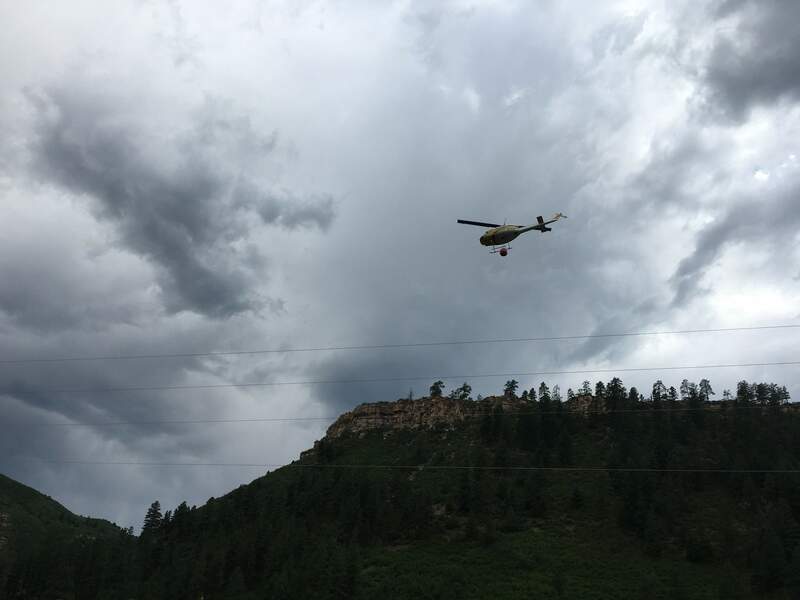 Four aircraft were sent to the Coal Gulch Fire, including a helicopter, a guide plane and two single-engine air tankers. A landowner in the area gave firefighters permission to use a pond for water.